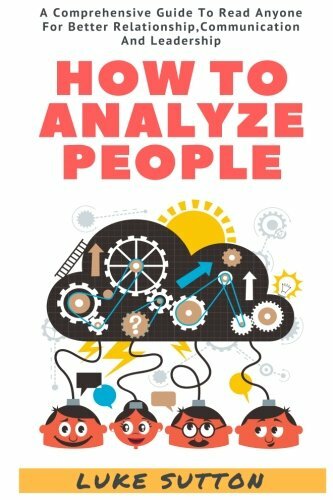 How To Analyze People - The Secrets Will Be Revealed! Do you want better results in your life? Are you looking to not only communicate better and with more confidence, but also be able to read what people really think and feel about you? If so, this comprehensive guide is your treasure chest of wisdom for developing better relationships, commanding more attention, and flourishing loyalty in friendships, family, and followers. You'll also pick up key tips on how to become a better leader in both your work and personal lives. This book is a step by step guide to help you analyze people instantly and be an amazing person to them. To quench our thirst to be loved, we must position ourselves in a position that will make us loveable and attractive. Standard confidence, a warm smile and a firm handshake is enough to start you off but keeping the ball rolling might be a whole new journey up hill. Take Action Today and Learn How To Analyze Anybody Instantly! Click the "Buy now with 1-Click" to the right and get this short guide immediately.